Sekiro Shadows Die Twice Guide is a comprehensive source of knowledge about this difficult FromSoftware's game. It will allow you to learn how to win fights, or what the consequences of death are. It also includes descriptions of bosse and walkthrough. 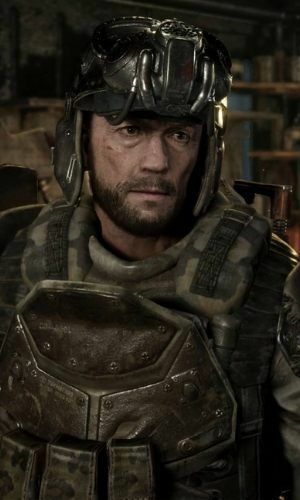 The guide to Metro Exodus is a compendium of knowledge about this post-apocalyptic shooter game. Here you will find an exact walkthrough, a description of all available side quests and a full list of achievements. 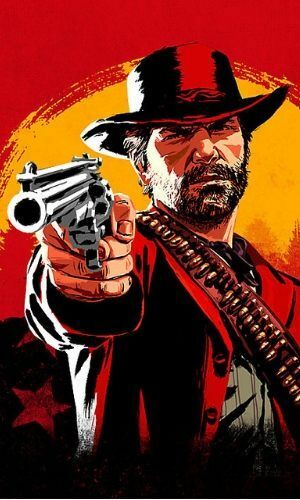 The Red Dead Redemption 2 Guide is an extensive walkthrough that will guide you through all the main and side quests. Our tips describe trophies and achievements, weapons and help you locate all secrets and collectibles. Check out our RDR2 maps. 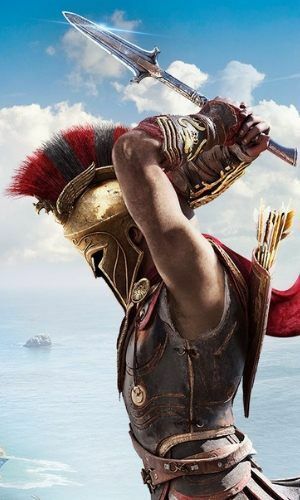 Assassin's Creed Odyssey Guide will help you find all the secrets, tombs and collectibles. Complete walkthrough and maps contain tips to main and side quests, including Ainigmata Ostraka, tombs, documents and ancient tablets. Check also our trophy guide. 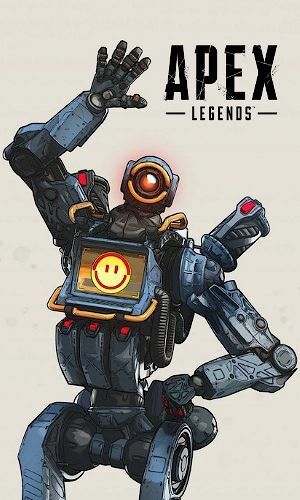 Apex Legends Guide is a collection of tips and tricks for this exciting battle royal shooting game. From our publication you will learn how the each of the Legends behave on the battlefield and what passive, tactical and special abilities they have. Pathway Guide and Tips The Pathway guide is a compendium of knowledge about this pixelart tactical game. You will learn how to heal heroes and use them in combat, or how to get a dog and new companions. We've also prepared a detailed walkthrough, as well as a tips section. Anno 1800 Game Guide Guide to Anno 1800 will help you design the perfect city - our tips will teach you how to obtain raw materials, make money and build complex production chains. Check our tips for beginners! Weedcraft Inc Guide The guide to Weedcraft Inc is a collection of the best tips and tricks for this original economic strategy. Here, you will learn how to quickly develop your small business, how various marijuana species differ and how to manage your buildings. Outward Guide The Outward Guide is a practical beginner's handbook. Our tips will help you in completing the first few quests. You will learn how to earn money, how to survive, what to do after death and what to do when you go to prison. Satisfactory Guide The Satisfactory Beginner's Guide is a collection of practical step-by-step tips that will teach you how to survive. In our guide you will learn about crafting, base, production lines, factories and many, many more. We. The Revolution Guide Solve all cases and survive French Revolution! Guide and Walkthrough to We The Revolution contains everything you need to know about this unusual game. We've described first days, tasks and cases as well as game mechanics. Be sure to check our tips. Tropico 6 Guide Tropico 6 Guide is a collection of the best tips to help you build a functioning state. You will learn here from which buildings to start, how to use the almanac, combine your archipelago and accumulate a lot of funds on your account. 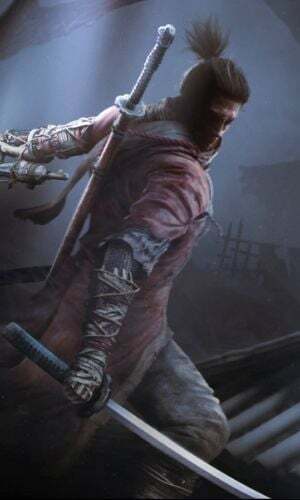 Sekiro Guide and Walkthrough Sekiro Shadows Die Twice Guide is a comprehensive source of knowledge about this difficult FromSoftware's game. It will allow you to learn how to win fights, or what the consequences of death are. It also includes descriptions of bosse and walkthrough. Devil May Cry 5 Guide The Devil May Cry 5 Guide is a comprehensive source that will let you complete 100% of the game. With our walkthrough, you can complete all 20 missions, unlock higher difficulty levels, defeat powerful bosses, or discover all hidden missions in the game. Welcome to the website devoted to Game Guides, Walkthroughs and Atlases for Video Games. Since 2000 we�ve been creating multilingual publications for gamers, which help them enjoy and complete games. Gamepressure.com Game Guides is an English-language website about video games and is dedicated to gamers who know this language, although some guides were originally written in a different language and translated into English. Our game guides describe how to finish a video game, what choices to make to find alternative plot lines, how to solve in-game quests and puzzles, and how to find secrets and treasures. We try to describe the best gameplay strategies. We focus on walkthroughs and guides for video games on current platforms like PC, PS4 and Xbox One, older consoles like PS3 and Xbox 360, as well as the most interesting titles for other platforms also devices running on Android and iOS. The RPG genre is our favorite when it comes to game guides and maps, but we also make walkthroughs for strategy games, adventure games, action-RPG games, MMO games and others. We do our best to make the lives of virtual adventurers easier by creating detailed game maps of game worlds, describing points of interest (POIs), locations, NPCs, secrets, quest starters and enemies. The game guides are available on our website, but we also encourage you to download PDF files or read our guides as ePubs on your e-book readers, smartphones and tablets. Owners of Apple devices can also download individual guides from Apple iBookstore or download our free app called Free Game Guides, which works on iPhones and iPads. All the lovers of video game guides should subscribe to our Game Guides YouTube Channel where we present walkthroughs and video guides for the most interesting video games. Guide to the Witcher 3: Wild Hunt is a comprehensive source of information required for playing the Polish blockbuster game and completing it in one hundred percent. Guide to Anno 1800 will help you design the perfect city - our tips will teach you how to obtain raw materials, make money and build complex production chains. Check our tips for beginners! This unofficial guide to Grand Theft Auto V is a complete guide to Los Santos. It will help you experience all of the attractions that the game has to offer and to help you achieve 100% completion of the game. The Outward Guide is a practical beginner's handbook. Our tips will help you in completing the first few quests. You will learn how to earn money, how to survive, what to do after death and what to do when you go to prison. The Divinity: Original Sin II Game Guide contains description of all quests available in the game, from the ones connected to the main plotline, up to optional, side adventures. Aside from that, the dedicated chapters contain maps of all locations. Our guide for Dragon Age: Inquisition is a sheer mine of knowledge for this RPG game developed by BioWare. This guide has been divided into three big parts: Strategy Guide, Game Walkthrough and World Atlas. There are four ways to read our Game Guides and Walkthroughs on Mobile Devices. If you own any Apple device � either an iPad or an iPhone � you can download our Free iOS App from AppStore: Free Game Guides. If you have any other mobile device like a Smartphone, a Tablet or an ebook Reader, you can download our guides in the ePub format and read them in any free ePub Reader apps. Our guides are also available in the Apple iBookstore as books for download. You can find links to these ebooks on our website, on a corresponding page to a guide that you�re interested in. You can also download our guides in the PDF format that is universal to all devices (also for Desktop PC). You can find our Game Guides in PDF format on a corresponding page to a guide that you�re interested in. The game guide to Torment: Tides of Numenera was divided into two main parts � a strategy guide and a walkthrough. The guide provides information on the most important elements of the game. The Farming Simulator 15 game guide contains all the information that you need in order to run a farm, as well as detailed characteristic of all the elements of the gameplay. Here, you will find tips on how to start your adventure with the game and successfully continue it. Animal husbandry and all the missions have been thoroughly described. You will also learn everything about the farms and their viability. In the solution, you can also find the description of maps and location of all the gold coins. Beginner players will find a lot of valuable information in the Basics chapter and everyone will learn something more about earning money and running the farm properly from the Other chapter. The game guide to Doom contains a detailed game walkthrough in which all mission objectives are described in detail. This guide also includes locations of important collectibles and advice related to in-game challenges. The guide to the Rise of the Tomb Raider will show you all aspects of the game. It contains full walkthrough of the game and description of every secret. This here is a guide for the Polish cRPG super-production, i.e. The Witcher 3: Wild Hunt. The thing that you are going to deal with here, is the grand finale for the epic trilogy developed basing on the praised novels penned by Andrzej Sapkowski. Among others, you will find here a thorough description of the game world, thanks to which you will not miss any of the places worth seeing, nr any other thing worth experiencing. Of course, there is also a plethora of descriptions of how to complete quests - both the ones that belong to the main storyline, as well as the optional ones. Definitely, they will be found useful by all those who desire to make the "right" choices throughout the game and wants to make sure that they will end the White Wolf's adventure to the end that they like. We also want to provide you with the abundance of hints that may prove useful for every monster slayer, connected with the topics of character development, fight with sword and magic (signs) hunting monsters or employing oneself with the witcher's craft (like brewing of elixirs and constructing traps). The unofficial guide to The Witcher 3: Blood and Wine contains all the information needed to achieve 100 percent completion of this very content-rich expansion. The largest part of the guide are the descriptions of all the main and side quests, as well as all the new witcher contracts and treasure hunts. The quest descriptions contain, among other things, information about the circumstances of their unlocking, all the steps required for their completion, all the decisions that have to be made in their course, as well as their consequences, and the possible prizes we can receive for their completion. The chapter ends with a section dedicated to all the endings available in the expansion. Much space in the guide is also dedicated to the maps of the duchy of Toussaint, where the action of the expansion takes place. In that part of the guide, you will find a large world map as well as numerous maps of smaller areas, where we have marked cities, villages, and any other places worth exploring. An entire separate chapter of the guide presents the most important innovations that were introduced in Blood and Wine. The guide will familiarize you with things like the new set of cards - Skellige (along with card locations as well as the people with whom you can play), the debuting mechanics of subjecting Geralt to mutations (the process of unlocking mutations, the principles of their operation, the most interesting mutations), the new pieces of gear of can find, romance options, or the option to manage your own estate (the Corvo Bianco Vineyard). In this guide to Pillars of Eternity, you can find all the information allowing you to complete all the missions – both main and side – without any problems. This unofficial manual for Batman: Arkham Knight is a thorough guide into this complex game. The basic assumption is to help the player solve the most frequently encountered problems, as well as to discuss the entire contents of the game. This guide has been divided into two main parts. The first one comprises of walkthrough for the game's main storyline and for side missions, which are connected with locating dangerous criminals and capturing them. Descriptions of the individual missions, among others, provide information exploration, combat, sneaking, using the batmobile and fighting game bosses also, a separate chapter has been devoted to them). The second part of the guide comprises, predominantly, of a comprehensive description of all the activities connected with the Riddler. The rest of the chapters provide among others, walkthroughs for all then of the Riddler trials and information of the whereabouts of all the 243 available puzzles screenshots + detailed maps . Apart from that, the second part of this guide provides descriptions of Augmented Reality Training events, where you need to prove your expertise at fighting, melee combat or driving the batmobile. Here is a list of all the Game Guides and Walkthroughs we are currently working on. Full versions of the guides� websites will go live in the future, near the release date of each of these games.